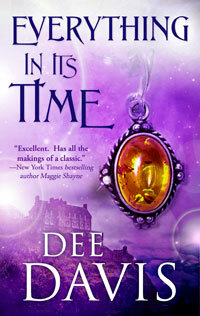 I’m so excited to announce the re-release of my very first novel, Everything In Its Time. First published in 2000, it has been out of print for almost ten years. So whether it’s for the first time or the tenth, I hope you enjoy reading Katherine and Iain’s story! Buy it now from: Kindle, Nook, Smashwords And check out www.deedavis.com for reviews, excerpts and more.